WinCo Foods, Inc is based in Boise, Idaho, and was founded in 1967. The company is mostly owned by current and former employees through an employee stock ownership plan. 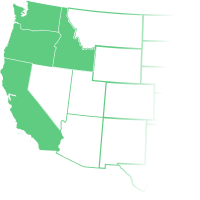 There are 122 stores serving the states of WA, ID, NV, CA, OR, AZ, OK, TX, and UT. WinCo has over 18,000 employees. WinCo reduces operating expenses by purchasing directly from manufacturers and farmers, operating basic, no-frills stores, not accepting credit cards, and not providing bagging service. Find out if your factory could get set up with the most successful retailers.